Winter is officially in. And it won’t be late before this gentle chill will turn into biting cold stealing away your rosy glow and leaving you with chapped lips and flaky skin! Excessive dryness is one of winter’s closest allies. It is the time of the year, when your regular moisturizer no matter how often and how much you use, fails to give you that soft, supple, and dewy skin you crave for. 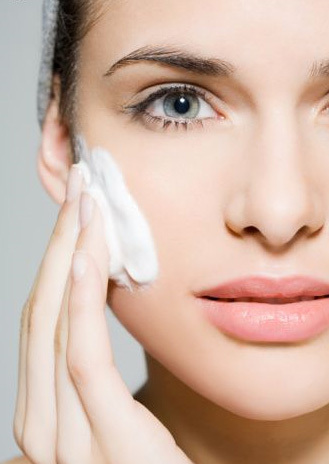 If you haven’t swapped your regular foaming cleanser till now, it is high time to switch to a creamy facial cleanser. Foaming cleansers or gel based cleansers that give you that squeaky clean feeling also strip away the moisture from your skin making the problem worse in winters. Cetaphil Cleansing lotion, Bioderma Sensibio H2O Cleanser, TBS vitamin E cream cleanser, Dove Beauty Moisture face wash are some of the good cleansers to use in winters. The next thing to do is to switch your regular shower gel or bathing bar with a soap free body wash or a moisturizing bathing bar depending on your skin type. Some excellent products to try are Olay Quench Body Wash, Dove Beauty Moisture Body Wash, TBS Cocoa Butter Shower Cream, Elovera Body Wash, Sebamed Cleansing Shower Oil, Cetaphil Restoraderm Skin Restoring Body Wash.
And if you prefer bathing bars over liquid body washes, some good moisturizing bathing bars to use are Dove cream beauty bathing bar, Nivea crème soap, Elovera bar, Oilatum, Himalaya Nourishing cream and Honey soap. As long relaxing hot showers in winters dry out the skin excessively, slathering on a rich body lotion immediately after bath can compensate the moisture loss and keep your skin soft and supple for long. Vaseline total moisture cocoa glow body lotion, TBS Shea whip body lotion, Palmer’s cocoa butter body lotion, Parachute Advanced deep nourish body lotion, Himalaya intensive moisturizing body lotion, Pond’s triple vitamin moisturizing body lotion, Lotus herbals almond nourish body lotion, Dove essential nourishing lotion etc. are all rich and nourishing body lotions for winter skin or dry skin. Cracked heels and flaking foot skin is a common problem in winters. While, body lotion can take care of your arms and legs, you need a good foot care cream to protect your heels and skin of the feet from the harsh weather. Kaya foot care cream, Ureativ 20%, Xerina Cream, Himalaya foot care cream, Khadi herbal foot crack cream, Scholl cracked heel repair cream, Tvam foot massage cream with sea buck thorn oil are some really good choices for the feet. Frosty weather can take chapped lips to a whole new level. 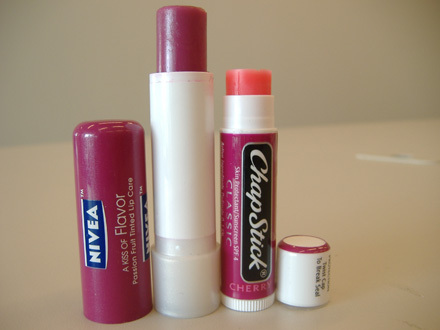 Always keeping a lip balm or a chap stck handy can be a good first step for soft supple lips in winters. If your lips are flaky, gently exfoliate the skin using a clean gentle toothbrush or rubbing on them a mixture made from plain table sugar and a couple of drops of olive/almond oil. After exfoliation, apply a generous amount of pure Vaseline petroleum jelly or a lip balm made from shea butter, lanolin, or beeswax. Although, winter sun is weaker than the summer sun but this is compensated by the fact that we also tend to spend much more time outdoors in the winter sun. 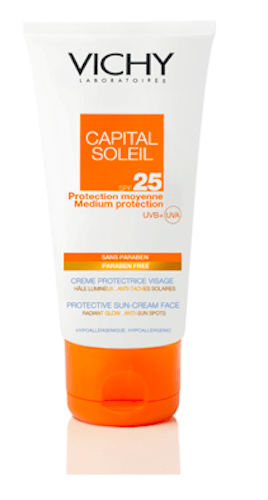 Therefore, using SPF is a must in winter season. 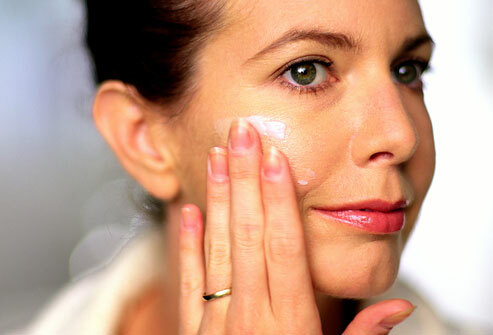 You can use your winter moisturizer under or over your sunscreen as per your preference or choice. Some good choices for sunscreen are Lakme Sun Expert SPF 50, Lotus herbals daily multifunction sunblock SPF 70, Neutrogena ultra-sheer dry touch sunblock SPF 50, L’Oreal Paris Dermo Expertise UV Perfect Moisture Fresh Sunscreen SPF 30, Ansolar Daily use Gel-cream SPF30, Vichy Capital Soleil medium protection SPF 25. So these are my top 7 winter skincare tips and product suggestions to help you sail through this cold weather with glowing skin and minimum woes. If you have any more tips for winter weather or dry skin to add to this list, you are most welcome. Please feel free to add your suggestions, tips, and ideas in the comments below to make the most of this wonderful time of the year. Aww…that makes me so glad!! So sweet of you to make R2B your home page…wish u neva get disappointed!